Sometimes landing the right investor is more important than getting a higher valuation. Just ask ZenPayroll CEO and co-founder Joshua Reeves. San Francisco-based ZenPayroll may have been able to get more favorable terms than a $560 million post-money valuation, according to Reeves. But the startup raised a $60 million Series B round Monday at that valuation because of who led the financing: Google Capital, the search giant’s growth equity fund. The startup, which offers a personalized payroll service for businesses, wanted to make a deal with Google Capital because it plans to expand nationally, adding to the more than 10,000 small businesses it currently works with, Reeves said. The company will add new employees with the financing, too; its plan is to grow to 300 this year from 84 currently. ZenPayroll will seek advice from Google on all of that—from going to market, to further developing its in-bound marketing tactics (the company’s primary method of attracting business), to using Google’s HR team to develop new practices of its own, Reeves said. 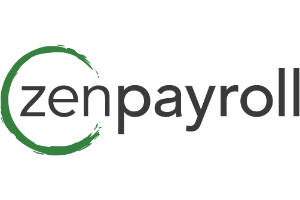 ZenPayroll bases its payroll model on people. The company attempts to personalize hiring and payroll practices in a way that makes employees feel special, with personalized e-mails every two weeks that give details on their paycheck, such as how the money was deposited or any vacation hours accrued. The program also is meant to make the process easier on small employers, many of whom still track payroll and process new hires by hand, by allowing new hires to access the ZenPayroll system and input their own data, Reeves said. The $60 million financing is ZenPayroll’s third round of funding since it launched in 2012, bringing its total raised to $86.1 million. Emergence Capital Partners, Ribbit Capital, and existing investors including General Catalyst Partners, Kleiner Perkins Caufield & Byers, and Google Ventures also participated in the financing. Part of the interest from venture capitalists in ZenPayroll comes down to its attempt to shift the focus of the HR process from money to people. While the company’s focus on the 6 million businesses in the U.S. has primarily been those with fewer than 100 employees, ZenPayroll may eventually expand its customer base to larger companies, Reeves said. There is room in what is a fragmented market, with ZenPayroll’s two largest competitors, Paychex (NASDAQ: PAYX) and ADP (NASDAQ: ADP) working with about 1.1 million of those businesses, he said. “Our goal is to serve millions of companies, and hopefully spend the next several decades—for me, the rest of my life—building ZenPayroll to its full potential,” Reeves said.